I want to make a number of points and ask the Minister two or three questions. The first point is on the link between learning and the workplace. I live in Derby, and our local Derby College trains more than 2,000 apprentices a year. It has recently introduced 10 employer academies. These employer academies allow people who are learning in the college to be linked with employers who have particular business and skill requirements, so that during their learning students can get bits of work experience, and they are guaranteed an interview for an apprenticeship at the end of the process. We have to drive this whole culture, as others have said, back into the learning in schools and colleges. I know that the Government have commissioned Prospect to do work with schools, but could the Minister say what he thinks of the importance of initiatives such as employer academies to further the link between learning and the workplace at an early stage pre-apprenticeship to prepare and encourage people? The Earl of Courtown (Con):…The right reverend Prelate the Bishop of Derby asked me to comment on the future of the current inspection system and the information that schools provide for pupils. Ofsted is now giving this higher priority in school inspections, as I mentioned earlier. We are working with it to monitor the impact of the statutory guidance…. 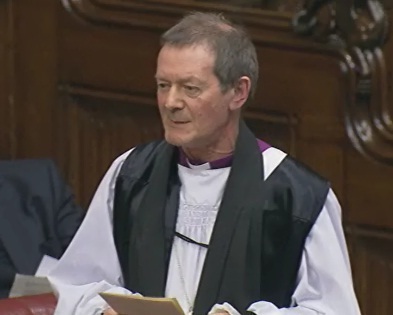 …The right reverend Prelate also asked about the role of learning academies in preparing people for work. They are, as he said, really important. For example, national colleges help the United Kingdom to develop world-class technical skills to compete globally and address high-level skill gaps in key sectors of the economy.